Your first offer is to join us for your first private tasting event and get 20% off any bottles you purchase at the event. Watch your email, you will receive notifications on the next time and date for these private tasting events. We are so glad to have you join us! We take pride in the variety of selections we have found to have as the Farina Wine Offerings. We have tried to We are proud to offer 40+ wines by the glass from our selection of 130+ wines. Every Thursday, we present a new - one week only - wine by the glass. Pair with a meal or try on its own, your palate will be delighted. If you fall in love with the wine, you can order a bottle, or even a case, to drink at home for a special price. We want you to try new wines. 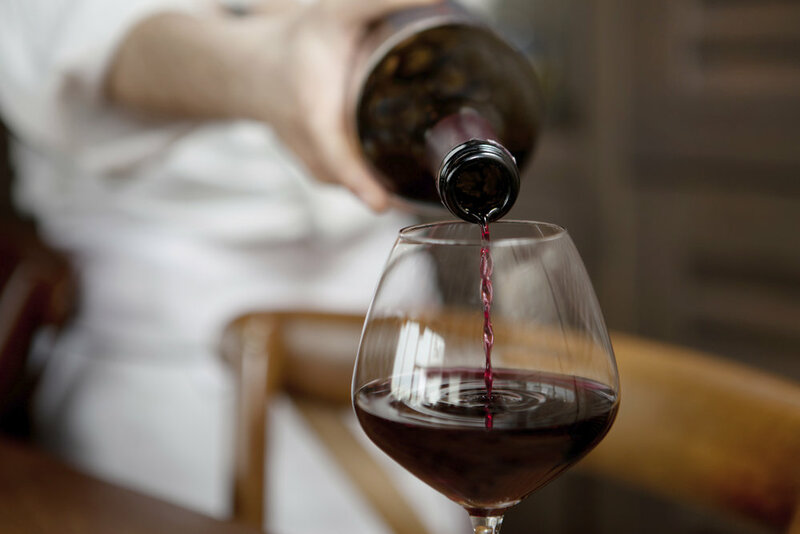 Each week’s “Great Glass” is a featured wine that is typically not offered by the glass and is a more exclusive vintage, vineyard or a part of our reserved collection. This is your chance to try amazing wines by the glass and purchase bottles at a discounted rate. See each week's selection on Facebook or Instagram - and follow us!